Stay tuned for ways we plan to celebrate Erin’s life in 2019 during her birth month of July! Erin Fest was a way to commemorate Erin’s happy, creative, nature loving soul on her birthday weekend in July, 2018. We celebrated by learning about birds, plants, and mushrooms and participated in creative arts including felting, watercolor and wood slice painting, playing musical instruments, and writing songs and poetry as a way to honor Erin’s spirit and her life. We even had a blackboard music concert and to wrap things up, everyone participated in a memorable drum circle. 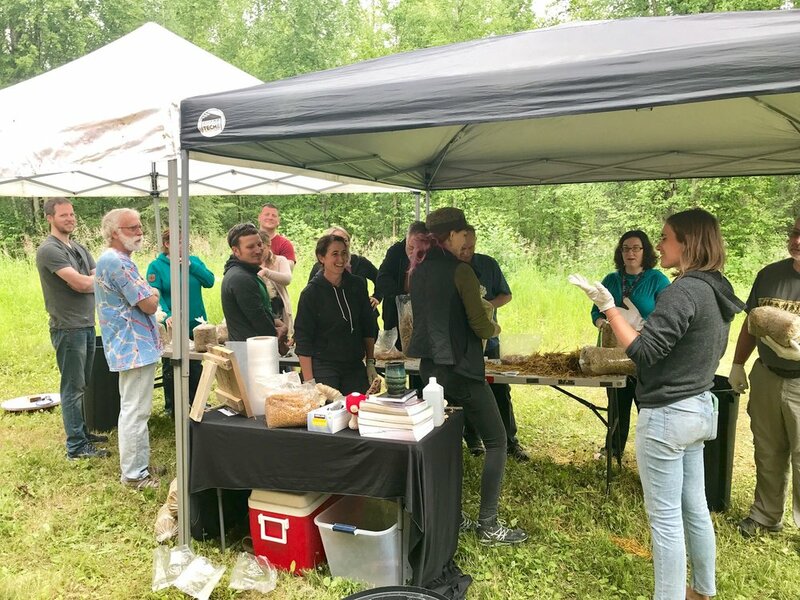 It was a wonderful day for everyone who came and it would not have been possible without the generous contributions of biologists, botanists, artists, musicians, and numerous people who donated their time and expertise. We so appreciated the outpouring of help and generosity! In addition to having it be a day of learning, sharing, and creativity, this event also raised a total of $1,132.00 for the Fund!